GARDP representatives tour the CO-ADD lab. This is GARDP’s first discovery collaboration that links partners in Germany and the USA with Australia. Through this screening, GARDP seeks to identify novel compounds suitable for optimization and clinical development as drugs for patients. “There is an urgent need to find new antibiotics against pathogens that have developed drug resistance, and partnering with GARDP is a terrific opportunity to leverage Calibr’s ReFRAME collection to explore whether existing drugs can be repurposed as effective antibiotics,” says Arnab Chatterjee, Vice President of Medicinal Chemistry at Calibr, the drug discovery division of Scripps Research. “This is a superb opportunity allowing us to combine the expertise of GARDP, CO-ADD and HZI/HIPS in our search for novel antibiotics, especially against the most threatening pathogens according to WHO’s classification. We very much hope that this joint development can be expanded and intensified in the future to also include, for example, additional partners from the German Center for Infection Research (DZIF),” says Prof Rolf Müller, Executive Director, HIPS and Head of Microbial Natural Products Department. 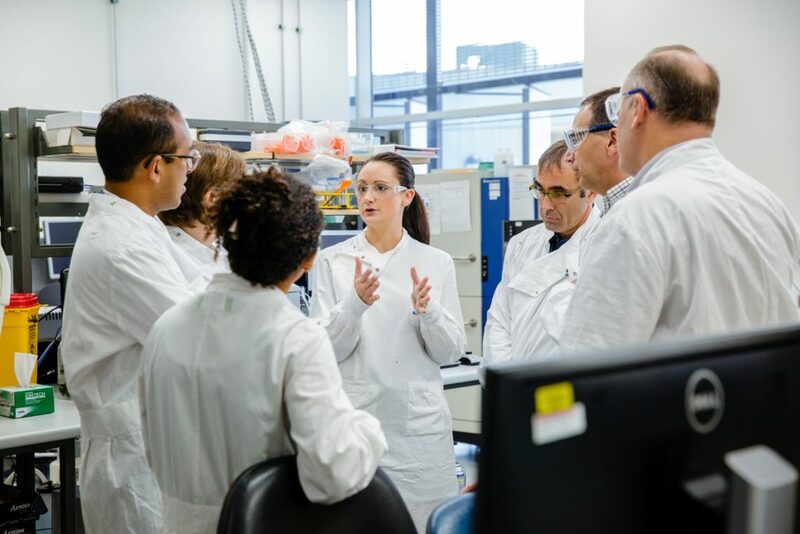 “This new partnership is an exciting opportunity for UQ to engage with GARDP and their network of international collaborators, and make a real difference to the fight against antibiotic resistance by conducting novel discovery research,” said UQ’s President and Vice-Chancellor Professor Peter Høj. The announcement of this multi-partner agreement comes as over 10,000 experts come together to present their latest findings at the European Society of Clinical Microbiology and Infectious Diseases’ annual conference. GARDP is a not-for-profit research and development organization that addresses global public health needs by developing new or improved antibiotic treatments, while endeavouring to ensure their sustainable access. Initiated by the World Health Organization (WHO) and the Drugs for Neglected Disease initiative, GARDP is an important element of WHO’s Global Action Plan on Antimicrobial Resistance that calls for new public-private partnerships to encourage research and development of new antimicrobial agents and diagnostics. www.gardp.org. Calibr represents a first-of-its-kind, nonprofit translational research institute dedicated to creating the next generation of medicines. A division of Scripps Research and situated in the heart of San Diego’s Torrey Pines Mesa biomedical research hub, Calibr is uniquely positioned to create and proliferate innovative partnerships. Calibr’s research interests span a broad range of human diseases, including cancer, autoimmunity and inflammatory diseases, metabolic and cardiovascular diseases, infectious and neglected diseases, as well as age-related and degenerative diseases. 1 WHO. (2017). Global priority list of antibiotic-resistant bacteria to guide research, discovery, and development of new antibiotics. World Health Organization. 2 O’Neill, J. (Chair) (2016). Tackling drug-resistance globally: Final Report and recommendations.